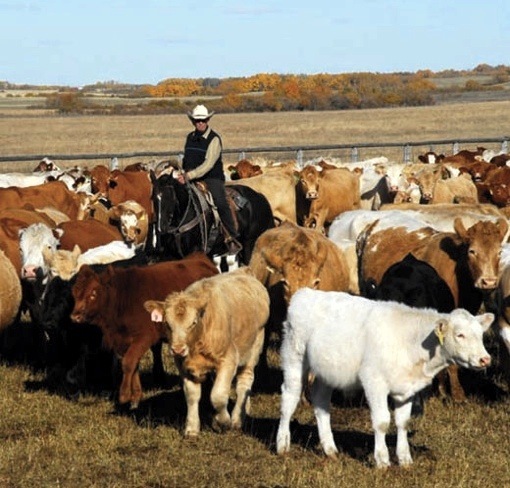 A growing number of organizations are lining up to oppose the provincial government's plan to sell off all or part of the 1.6 million acres of community pastures that were transferred back to the province by the federal government in last year's budget. And the group organizing that opposition, Public Pastures-Public Interest (PPPI), has come up with six principles to guide the management of the 62 federally managed pastures, including continued public ownership, livestock grazing under professional management, and preservation of what has been called "the largest blocks of native grassland" in the country. "We've got 18 organizations from all across Canada and from Saskatchewan ... endorsing a set of basic principles that we hope can be used to guide Saskatchewan forward in the transition of these important grasslands in the PFRA (Prairie Farm Rehabilitation Administration) pastures that have been transferred to Saskatchewan's responsibility,'' said Trevor Herriot, spokesperson for PPPI. The list of organizations, which includes Nature Canada, Saskatchewan Wildlife Federation, Saskatchewan Archeological Society, National Farmers Union, and Canadian Parks and Wilderness Society, has recently grown to include Bird Studies Canada and Rocky Mountain Bird Observatory. "We believe the land should be kept in the public domain. Equally important, the land must continue to be grazed. Grazing has always been a part of these grasslands for thousands of years," Herriot said. But he conceded that pasture patrons - the 1,800 livestock producers who currently graze about 85,000 cow-calf pairs on the pastures - should not be forced to buy the pasture lands or subsidize other uses of the land, such as wildlife habitat preservation, protection of endangered species, and preservation of archeo-logical, cultural or heritage sites. "If 50 per cent of the benefit of these grasslands is going to the public, and that was always covered by the investment we made as Canadians in the PFRA (community pasture) system, how are we going to replace it? If the land is merely transferred and leased out to the patrons at whatever rate and we don't make provision for the protection of those public interests, those public interests will not be protected." Ian McCreary, a cattle producer from Bladworth and head of the Community Pasture Patrons Association, representing about 20 community pastures, said the provincial government's plan to sell the land to the patron groups doesn't make economic sense. "We have to find a way to get grass for less than a dollar (per head) a day or it doesn't work." McCreary said the Manitoba government recently transferred its community pastures to patron groups at no charge, recognizing that patrons are also providing a "public good" by maintaining pastures for endangered species of animals and plants. But patron groups aren't prepared to pay for the cost of preserving grasslands and protecting 'species at risk' by themselves. "Part of the cost of having professional managers out there has to be borne by somebody other than patrons," McCreary said. "If the patrons are the only ones paying the bills, then the patrons aren't prepared to provide the public goods. It's that simple."